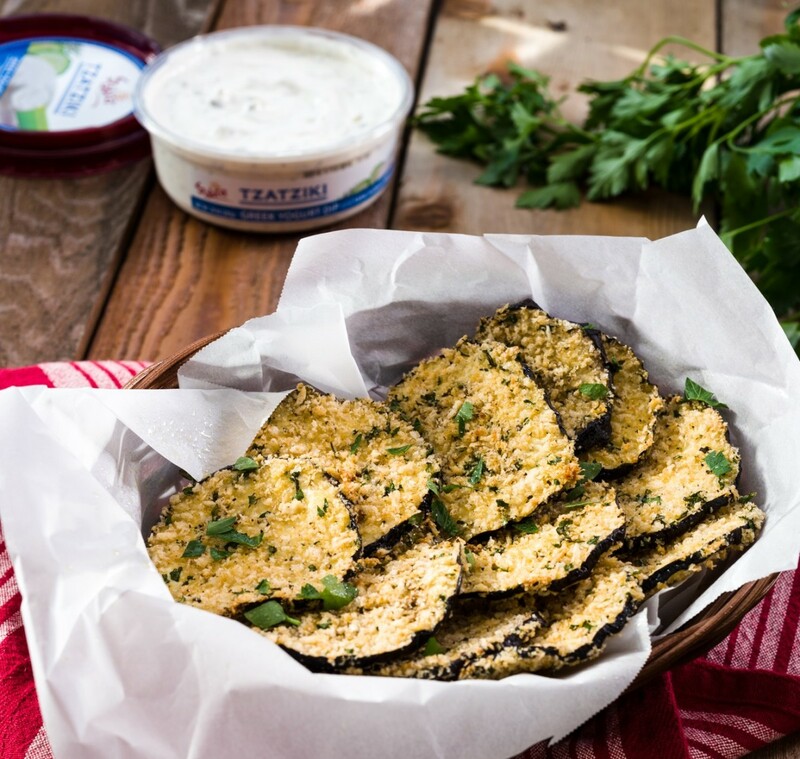 Editor&apos;s Note: These addictive Baked Eggplant Chips with Sabra Tzaziki dip are a delicious and healthier alternative to chips that you can serve at your next get together, or simply as a snack. 1. 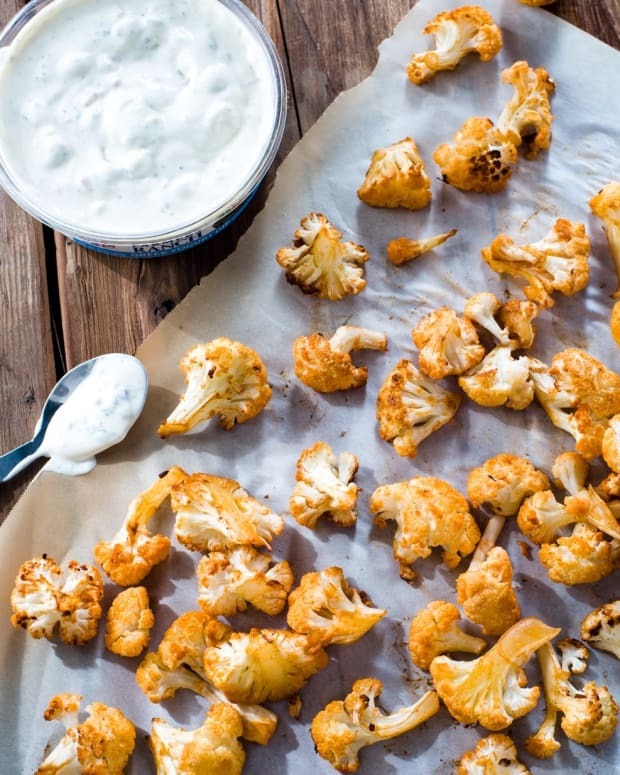 Preheat oven to 400°F and line a baking pan with parchment. 2. Line the bottom of a 9 X13" casserole dish with a double layer of paper towels. 3. 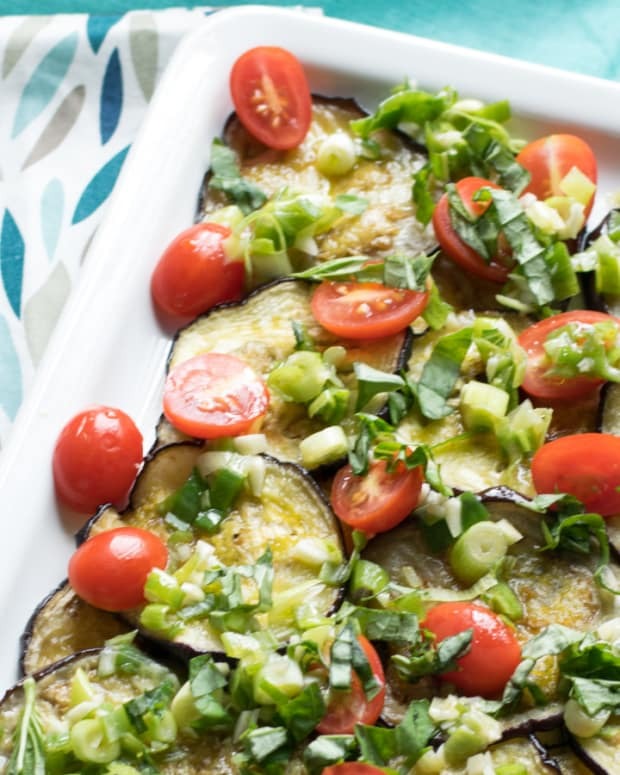 Put eggplant slices, about 3-4 slices wide, in the dish until first layer is full. 4. 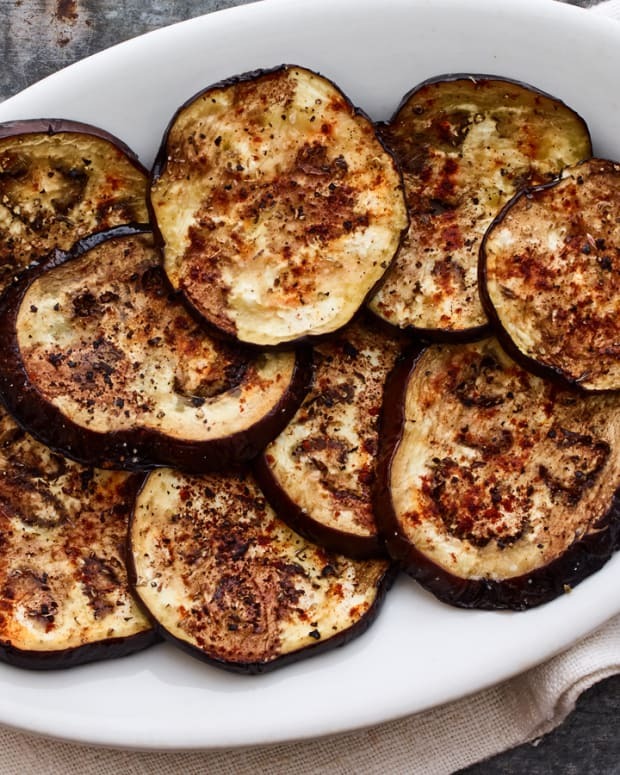 Sprinkle eggplant lightly with salt, and top with a paper towel. 5. Continue this process, layering the eggplant and paper towels, until all of the eggplant is arranged. Top the final layer with a paper towel, and let sit at room temperature for at least 15 minutes. 6. Put panko, parsley and thyme in a shallow baking dish and stir to combine. 7. Put milk, eggs, and salt into another shallow baking dish and whisk to thoroughly combine. 8. 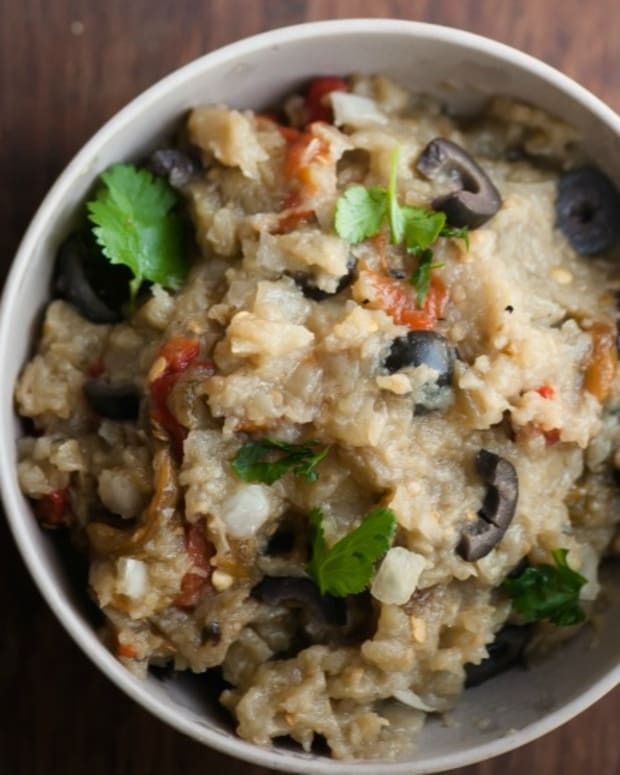 Once the eggplant is ready, use the paper towel atop each layer to soak up any extra liquid from the vegetables. 9. 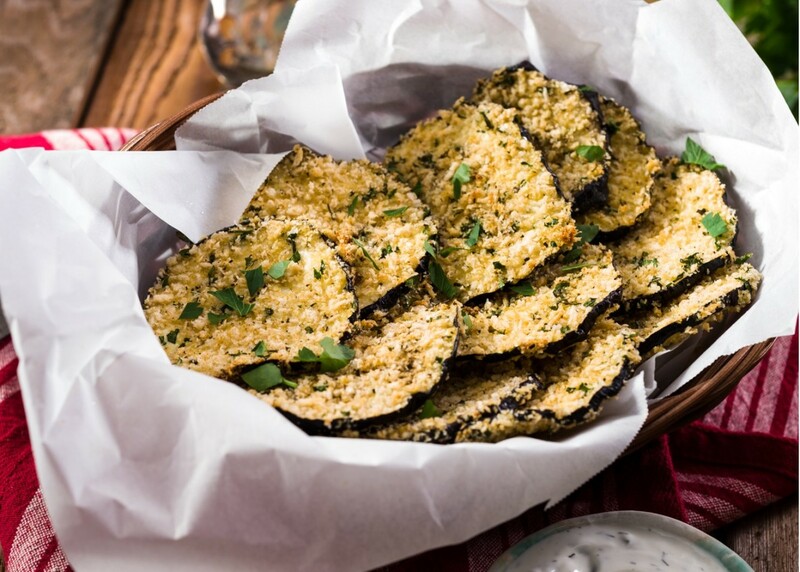 Once slice at a time, dip both sides of the eggplant in the egg mixture, and then panko, evenly coating each side and pressing breadcrumb mixture into each side as needed. 10. 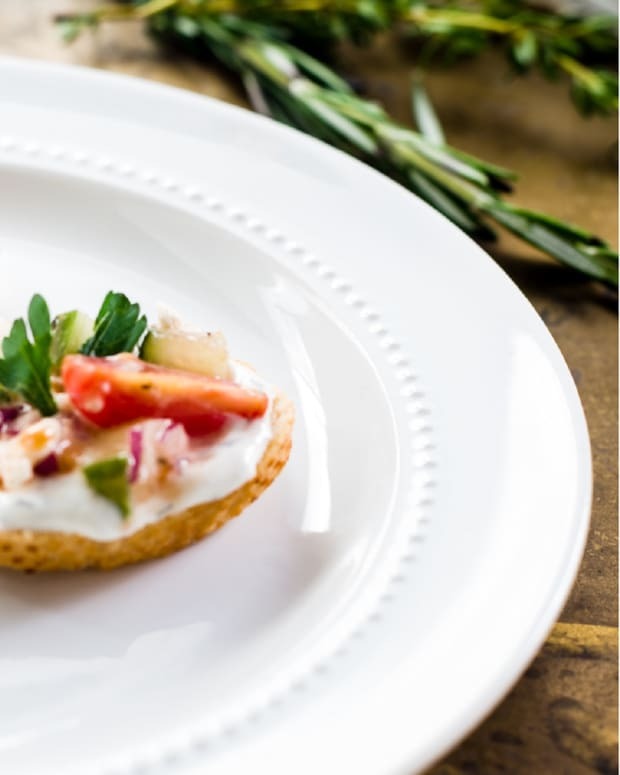 Shake slice gently over breadcrumb mixture, then place slices in one layer on parchment-lined baking sheet until sheet is full. 11. Bake the slices for 10 minutes, then flip each slice and bake for 10 more minutes, or until edges are crispy and beginning to brown. 12. 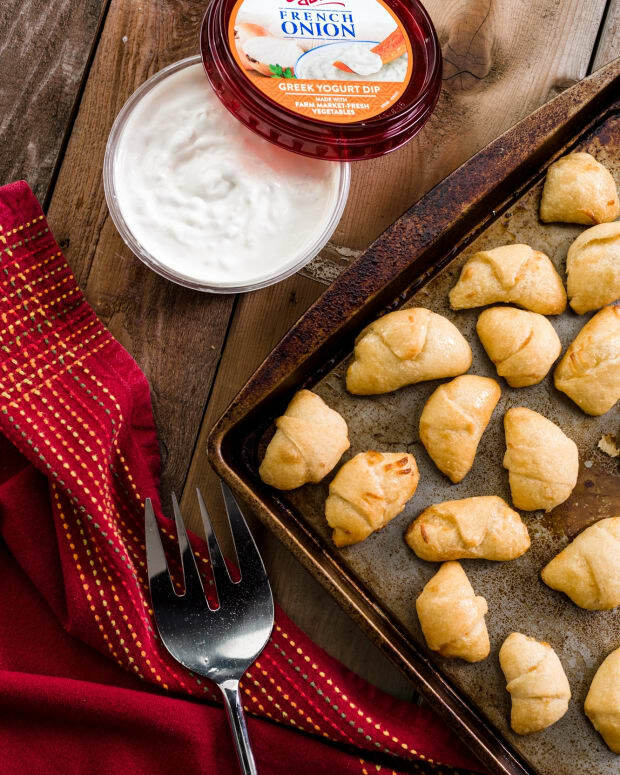 Serve chips warm with Sabra Tzaziki yogurt dip.